Robert Morgan – Bobby, is a Certified Naturopath, Holistic Practitioner, Master Herbalist, Iridologist, Energy Practitioner, Colonic Therapist, Master Live Food Chef, Author, International Lecturer, Teacher and Cancer “Surthrivor”. 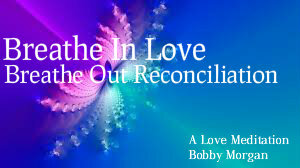 Bobby believes the body can heal itself. Every human and sentient being has a vital energy, which when brought into balance through the cleansing of the bodies physical and spiritual energy pathways, health and healing are obtainable in most circumstances. Bobby’s principal aim is to teach his clients how to prevent illness through stress reduction, spiritual growth, and simple changes to their diet and lifestyle. Bobby is dedicated to continuing to carry out the work and vision of Dr. Ann Wigmore and all of the souls who have dedicated their lives to love, peace and natural health. He has also committed this ongoing blog to the memories of those who have had a profound influence on his life and his journey to holistic health and healing. His mother Doris “Dotty” Morgan. His teachers Dr. Linus Pauling, Dr. Herbert Shelton, Dr. John Christopher, Dr. Paul Bragg, Dr. John Kellogg, Father Sebastian Kneipp, Dr. Benedict Lust, Dr. Birch Bernier, Dr. Arnold Eherts, Dr. Henry Lindlhar, Dr. Louis Kuhne, Dr. John Tilden. Today, my primary focus is teaching clients, friends, and family how to overcome health challenges, whether physical, mental or spiritual, via the internet and personal one-on-one telephone consultations. Bobby a, spends most of their time, between Hutchinson Island Florida and Myrtle Beach South Carolina. “The beautiful part of writing is that you don’t have to get it right the first time unlike, say, brain surgery,” — Robert Cormier. Out fruit them. – Thank you, Rick Warren! “If I speak with the tongues of men and of angels, but do not have love, I have become a ringing brass gong or a clashing cymbal. And if I have the gift of prophecy and I know all mysteries and all knowledge, and if I have all faith so that I can remove mountains, but do not have love, I am nothing. And if I parcel out all my possessions, and if I hand over my body so that I will be burned, but do not have love, it benefits me nothing. “Love is patient, love is kind, love is not jealous, it does not boast, it does not become conceited, it does not behave dishonorably, it is not selfish, it does not become angry, it does not keep a record of wrongs, it does not rejoice at unrighteousness, but rejoices with the truth, bears all things, believes all things, hopes all things, endures all things.